We love urban cruisers. When we were in the planning stages of Beat (ideas to napkin) we knew we wanted to partner with a bicycle brand that found the perfect balance of style and function. In the late winter last year, the dustiest part of our build out, we sealed our relationship with Brooklyn Bicycle Co. with a virtual high five. 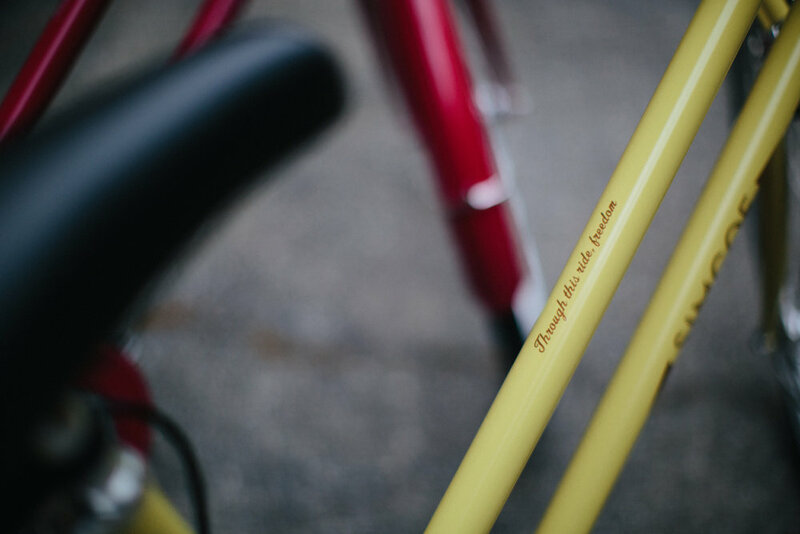 Their perfect blend of ride quality, comfort and aesthetic captured the hearts of cyclists in Lakewood, Cleveland and beyond. When we were sketching the plans for 2015 (more napkins) we wanted to find another an additional brand to add to our expanding urban cruiser category and after some searching we found another great match, Simcoe Bicycles. Simcoe brings a fit and style all their own while providing the functionality and fun we look for in all of the products we choose. Options range from single speeds with full coverage fenders to internally geared 7 speeds with fenders, rear racks and Brooks saddles. Side note, all geared models come equipped with Shimano Nexus hubs for smooth shifting and little maintenance. We're certain you'll love them as much as we do. 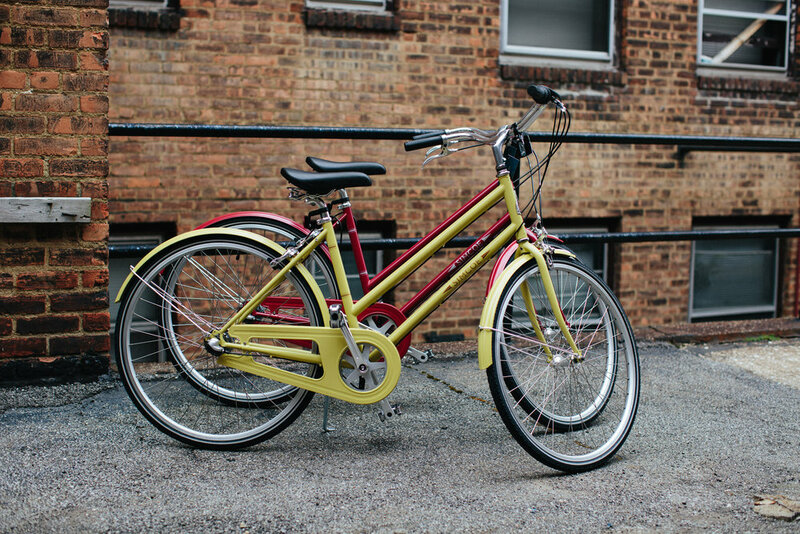 In fact, our urban cruisers are guaranteed to make anyone develop and overwhelming desire to drink bordeaux and listen to Billie Holiday. In stock now : Classic Step Through in Burgundy and Yellow (pictured below). 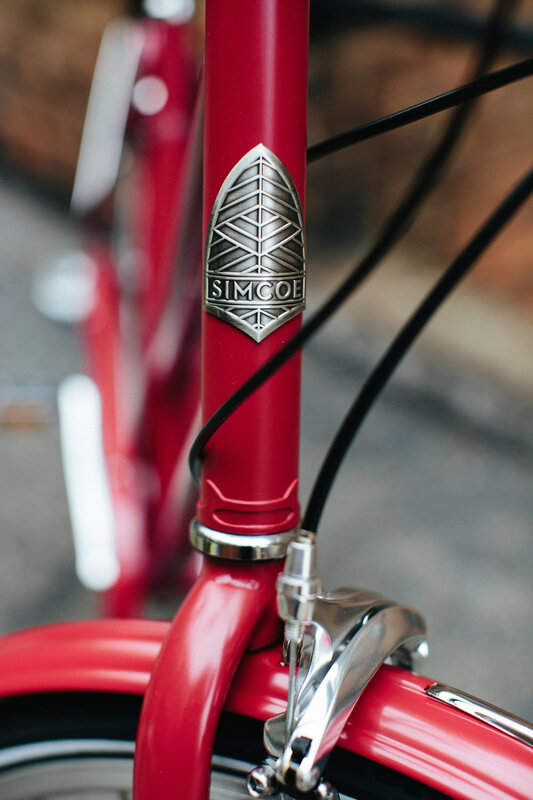 Simcoe bicycles draw inspiration from a forgotten era of North American cycling. They are a product of both experience and necessity, built for the cold of the northeast and the boardwalks of the southwest. A story lies behind every angle, creating an upright ride and agile feel - bridging modern geometry with classic form.